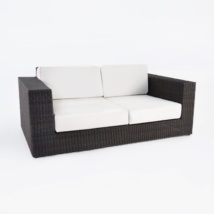 Create a modern outdoor sectional sofa with the wicker Austin corner chair. 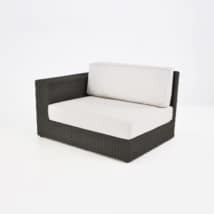 The corner chair is the key ingredient to creating a popular and very functional l-shaped or u-shaped sofa. It will fit perfectly next to the center chair to make a grand seating area. 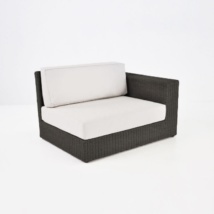 It comes with 3 Sunbrella® cushions so that you can relax, lounge and enjoy your outdoor space. The Austin sectional corner unit will help you create a large seating area for your backyard space to accommodate more guests or simply allow you to stretch out and enjoy the space all on your own. 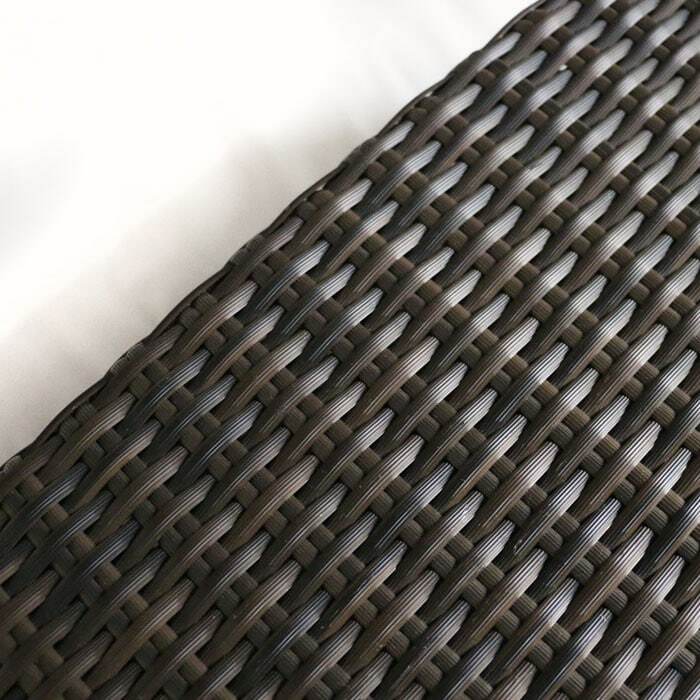 The traditional wicker weave is expertly woven around a large powder-coated aluminum frame. 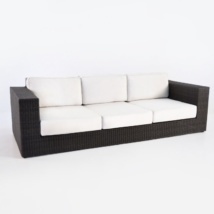 The Austin Sectional is a great example of how you can make wicker into contemporary furniture. 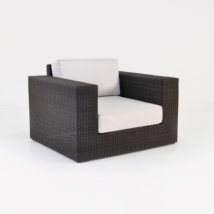 The deep seats and wide arms add that extra space that most wicker furniture doesn’t offer. 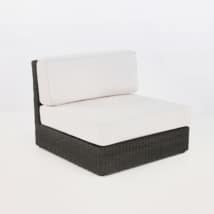 All of the Austin outdoor furniture collection is made with Viro® outdoor wicker, powder-coated aluminum and topped with Sunbrella® cushions. The wicker fibers are shaped and hand-woven onto the aluminum frame. 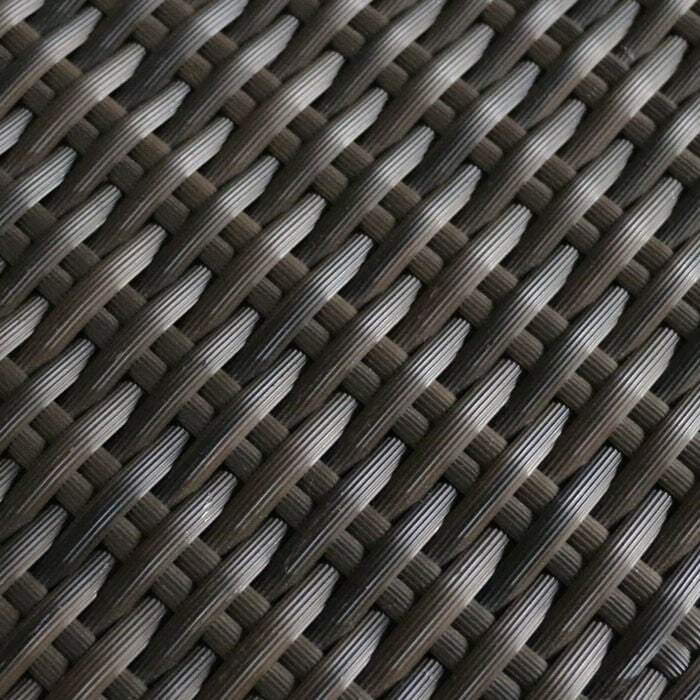 Viro® is Polyethylene-based and suitable for outdoor use. It feels smooth to the touch and is also toxin-free. The aluminum frames are strong and durable, but yet allows this pieces to remain light so that you can easily move it around your outdoor space. 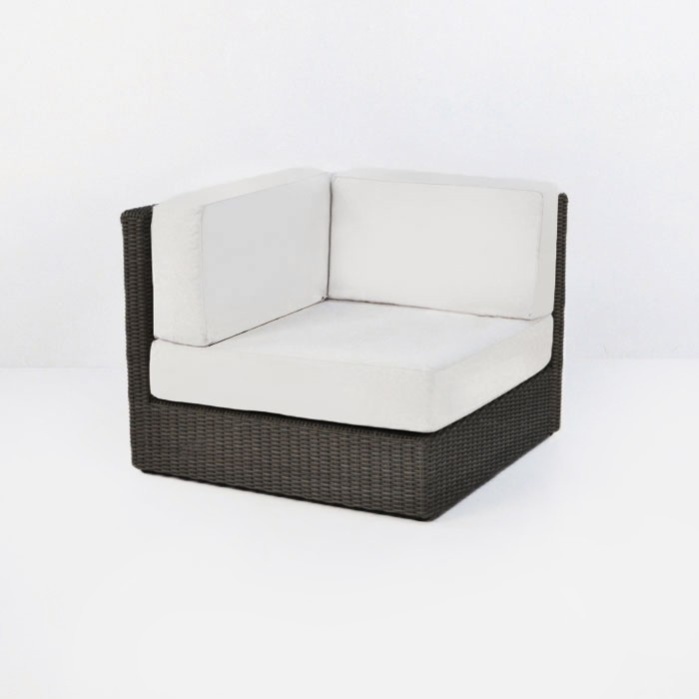 The Austin corner outdoor sectional chair comes with 3 Sunbrella® cushions making the corner seat one of the most comfortable and popular places to sit on an l-shaped sofa. These cushions are included in the price! Teak Warehouse is open to the public and trade daily, so call today and one of our friendly sales members will answer any questions and get you started on the right path to having a luxurious outdoor space at wholesale prices.